Eden Hazard has less than 18 months left on his contract at Chelsea and has already turned down several opportunities to commit his long-term future at Stamford Bridge. 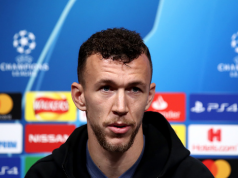 The Belgium international earlier admitted he has already made a decision on his future, but refused to reveal the details. 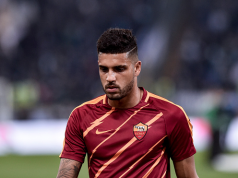 The forward has been on the radar of Real Madrid and has continued to be heavily linked with the Champions League winners. 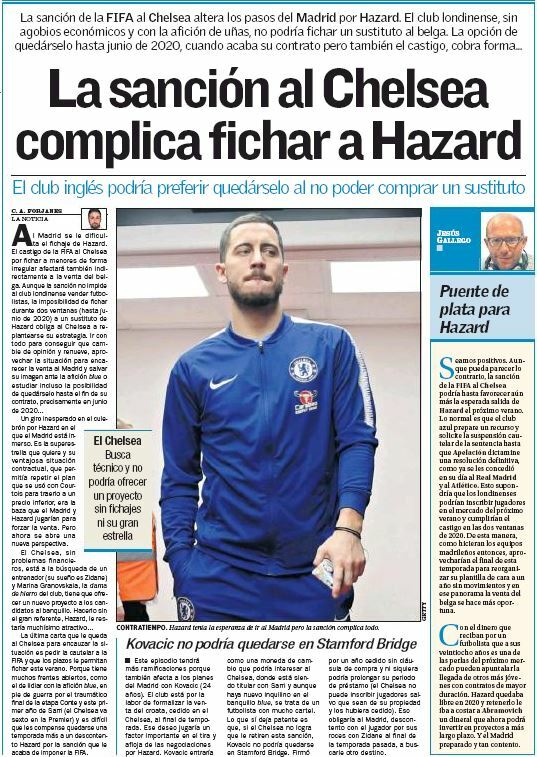 On the front page of Spanish newspaper AS it reads ‘Hazard is complicated’ after FIFA handed the Blues a ban from registering players in the next two transfer windows. 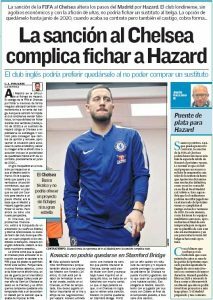 Due to this, Chelsea can prevent his exit at the end of the season and if he does not extend his contract, he could end up leaving the club on a free transfer. 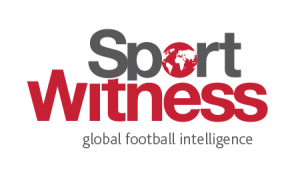 Real Madrid have a ‘difficult time’ to sign the player because their plan was to replicate the same strategy they used in their approach for Thibaut Courtois in signing his compatriot, but the transfer ban now opens up a new perspective. Chelsea director Marina Granovskaia, who is mentioned as the ‘iron lady’ has a plan to replace Maurizio Sarri and to bring in a new manager by offering new deals to the current players and not having Hazard next season will ‘take away’ a lot of attractiveness. Their dream is to appoint Zinedine Zidane as Sarri’s successor and without Hazard at the club and also without new signings it could make it difficult for Chelsea to convince the current players to commit their futures to the Premier League outfit.